Our company offers a complete cleaning and maintenance service for your HVAC unit. We use solvents that are safe for your family and your pets, but are still effective at getting everything thoroughly clean. Our maintenance service also meets the highest industry standards so you can be sure that your unit will reach its maximum efficiency before our skilled technicians leave. Why Have Your HVAC Unit Cleaned? The benefits of getting your HVAC unit cleaned regularly are numerous but the main ones are energy efficiency and air quality improvement. In order to improve the quality of the air your family is breathing day in and day out, we'll replace the filters and clean the grills, condenser and coils, as well as other parts of the unit. This will also improve the system's working efficiency, which will reduce its wear and tear and increase its ability to maintain your desired indoor temperature. Our professionals are fully equipped to test the quality of the air inside your property. These tests are quite stringent and extremely efficient at detecting all sorts of contaminants and measuring how many particles are floating through your home. Once the test is completed we will discuss the best course of action to eliminate anything (provided that such steps need to be taken). We'll then carry out the necessary work, and make sure that your home environment is as fresh and clean as it can be. People often worry about the condition of their air ducts, but they forget to make sure their HVAC unit is also checked and cleaned. 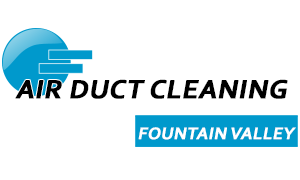 Contact our team at Air Duct Cleaning Fountain Valley today and have our experts make sure that your indoor environment is safe for you and your family or employees. You'll breathe easier knowing that this aspect is handled by the best technicians around.